We are dedicated to helping you secure a bright future, great career, and continued success! Whether you’re interested in the full four week Nurse Aide program, CPR program, or two week Re-certification program, Smithwood Medical Institute, LLC can help you get on the right path. Our hands-on training programs are taught by professionals with real-world industry experience. Let us help you earn your specialized certification today! For more information about Smithwood Medical Institute, LLC, please call 713.975.0971 to speak with our Admissions staff. residents in hospitals and long term care facilities. Graduates of this program will be able to communicate and interact effectively with patients, assist patients in attaining and maintaining maximum functional independence, while observing patient rights. They will learn how to perform basic 1st aide and CPR. Basic Nurse Aide responsibilities, take vital signs, apply the elements of basic nutrition in meal planning, and follow infection control measures. Additionally, they will be able to apply proper body mechanics in bed making, lifting, and turning patients. Graduates of this program will be awarded a Certificate of Completion for the Nurse Aide Training Program and may find entry-level employment as a nurse aide with hospitals and nursing homes. The phlebotomy training program is designed to prepare students with theoretical and hands-On training necessary to perform multi-tasked duties as a phlebotomist. The content includes, but is not limited to, communication, leadership, human relations, and employability skills; performance of safe and efficient work practices in obtaining adequate and correct blood specimens by capillary or venipuncture on adults and children. 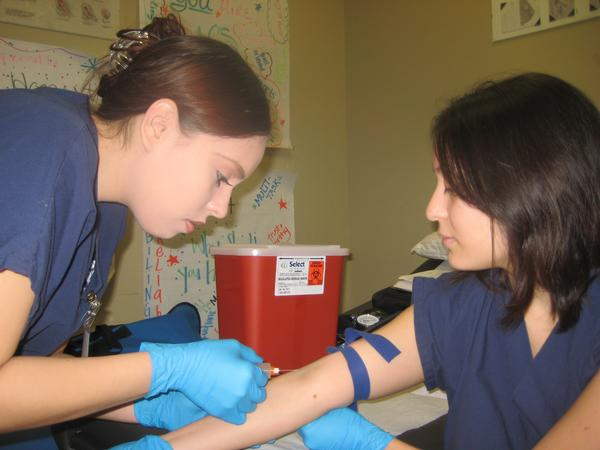 A graduate of this program will be able to obtain an entry-level position as a phlebotomist. After completion of the required curriculum course a student will be able to work in a hospital, clinics, independent medical laboratories, and doctor’s offices. The Re-certification Nurse Aide program is designed for those students who have completed the Nurse Aide course, but need to refresh their skills or update their knowledge in regards to different guidelines that may pertain to the state of Texas. This course can be completed in as few as two weeks. Smithwood Medical Institute, LLC’s instruction is led by highly trained and qualified nursing professionals who are Registered Nurses. Our instructors have worked in acute care hospitals and long-term care nursing home settings. Smithwood Medical Institute, LLC’s highly qualified nurse instructors have more than 28 years of nursing experience and educating others to be successful within the career of nursing. Our lead instructor is also a former Nurse Examiner for the State of Texas Naces Plus Foundation and has successfully taught all phases of the nurse aide program, pharmacy technician courses, secondary medical anatomy, physiology courses, geriatric care of the aging course, and certified nurse aide course in the public school system: health science technology, health science technology II, and health science technology III –occupation specific. Smithwood Medical Institute, LLC is passionate about not only providing each student with a great education, but we also want to make sure that each one of our students will be an amazing nurse’s aide. In order to present excellent nurse aides to current employers, we take great pride in graduating highly qualified nursing assistants who have done well on the state exam. We are staffed with instructors who have high passing rates in regards to the state exam. Each Nurse Aide student will have to take and pass a nursing exam given by the state in order to become a certified nursing aide. One of the major benefits of being a Smithwood Medical Nurse Aide student is that your instructor is a former state nurse examiner who will be able to greatly prepare you for the state exam!